Most of us violinists (as well as violists, cellists and bassists) are our most comfortable in an orchestra setting. Of course, the music is fantastic, and usually very challenging to learn and play. But learn and play we do, after woodshedding our parts carefully at home. Our teachers have been able to impart their technical and musical know-how to allow us to learn difficult pieces on our own. We take those skills, now finely honed, to the concert hall, where we deeply breathe in the joy of a beautiful performance, in amazing rhythm with our colleagues. If we’re lucky, our family and friends in the audience will enjoy our performance as much as we do. That “Other” Kind of Music . . .
After the concert, we might have dinner, or dessert and drinks, and enjoy some live music. And you can bet that the music is not classical! If you’re like me, you may have envied the musician at the restaurant or club, performing jazz, rock, bluegrass, Latin or fusion music to an appreciative audience. Playing classical music is great, but the appeal of a solo act, or a small ensemble, artfully playing off the audience, weaving improvised passages and clearly making the music their own, is surely irresistible. But that’s a different world, requiring a completely different skill set, not possible for classical players – different pedagogy, different theory, a different approach altogether. It would mean starting from scratch, wouldn’t it? 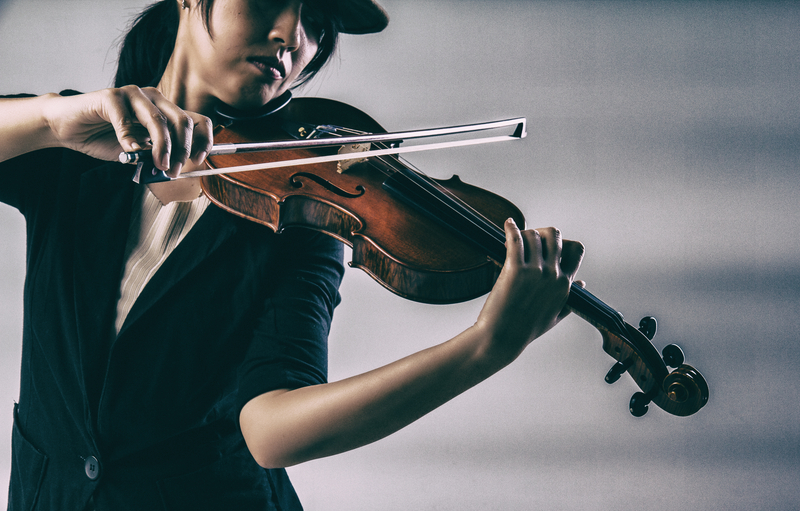 The fact is, there are more musical opportunities for string players today than ever before. These opportunities are easily accessible. Today, we have among us great artists who cross over seamlessly from classical to jazz, rock, Latin and other genres. Others started out in one genre but switched gears at the start of their promising careers, establishing themselves in another by putting their passion to work for them. Until fairly recently, this shape-changing was rare, for many reasons, not least of which were the invisible but wholly present technical boundaries that separated one genre from another . . . particularly between classical and all others (“alternative”). All that has changed. Today, these two artificial worlds are really one world, learning from and supporting each other. This was evident at the American String Teachers Association (ASTA) conference in Atlanta earlier this year, where classical players were eager to learn from fiddlers and jazzers, and rock violinists attended classical workshops to improve their own technique. The emergence of the musical entrepreneur, which ASTA keynote speaker Aaron Dworkin so passionately spoke of, was in full bloom, as these artists taught us about all aspects of their careers: From composing and arranging, to building their audience, to social media savvy, to the creation of unique pedagogy that is not taught in music schools (yet). The happy byproduct of this more unified world of music making is that musicians of all genres are taking a “deeper dive” into the music itself, getting to know their music at a far more visceral level. Indeed, there is no longer an “alternative” or “eclectic” string world that is separate from classical. Instead, we have witnessed the emergence of The Total Violinist . . . a player that is equipped for all musical possibilities, imparting their knowledge to others. For some, it is the gateway to a different genre than where they began, as violinist Tracy Silverman has famously stated, and who now offers string players the pedagogy to push the boundaries of their own artistry. For others, the challenges and joys of becoming a multi-genre player, or creatively blending musical forms into their own unique forms, has come from exploration beyond what they learned in conservatory. Jeremy Cohen is just one example of such an artist. For Rachel Barton Pine, extending outside traditional bounds has enabled her to become an even better classical violinist. Rachel informs her breathtaking baroque performances by focusing on an earlier era, while still dazzling audiences the world over with her masterful classical AND heavy metal performances! Still others have combined their journey as a Total Violinist with their passion for teaching others: Violinist Christian Howes, the spectacular jazz player and teacher of improvisation for string players, has created an entire system of teaching improvisation to any traditionally trained string player, as well as coaching us on how to manage our careers, opening up new worlds of music making to all. And of course, Mark O’Connor has enlightened us with his now famous O’Connor Method, teaching us that there can be much more to playing a string instrument than merely replicating music – we can also fearlessly recreate music bounded only by our own imaginations. Although they have been largely ignored by the big publishers and mega-companies, these artists are actually at the cutting edge of today’s music world, moving all of us forward. With the advent of the web, social media, music notation software and digital media, today’s Total String Players have led the charge in creating these resources and bringing them to an ever-wider audience. Once again, SHAR has opened the doors wider for players everywhere to discover the tools to unleash their own artistic passions: From streaming digital videos, to downloadable sheet music, to groundbreaking new pedagogy, to stories of inspiration from the artists themselves, SHAR is your go-to place for becoming a Total String Player.